While many caterers focus on serving one type of cuisine like Italian catering or Mexican food, Brandeis Catering isn’t limited by such labels and is capable of cooking any dishes you would like. While the company does offer tried and tested favorites, they are flexible and willing to work with couples to make their wedding day special and unique to them. This Omaha catering service has won countless awards and will serve your event with award-winning quality, meals and service. The Millard Plaza Ballroom & Catering offers menus that everyone is sure to love. They have developed 4 complete menu options as well as a list of items you can choose to add-on. The prices for these menus are per guest, starting at $15.95 and only reaching as high as $23.50.Each menu includes an entrée, potato or rice, vegetable and salad with bread and beverages available at an additional cost. 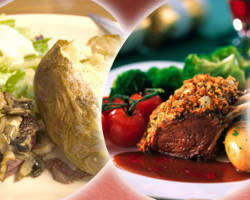 For a menu that is classic, delicious and affordable, you could not find a better caterer. 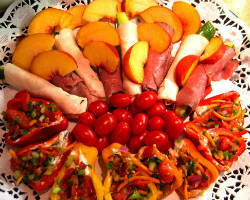 Lil Willy’s Catering is a favorite local catering service in Omaha for any gathering. The meals they provide are classic and always delicious. They mainly focus their menus around home-cooked favorites and BBQ. They are famous for making everything from Smokey ribs to tasty crawfish when they BBQ. The best way to find out about their complete services and more about their menu is to call. They are more than happy to talk you through the process of choosing a meal and their role while you celebrate your wedding. Catering is about more than simply loading up a buffet with a bunch of overcooked, under-flavored dishes. 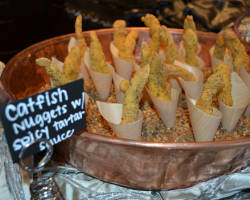 Modern catering is about presenting clients and their guests with tasty pieces of culinary art. 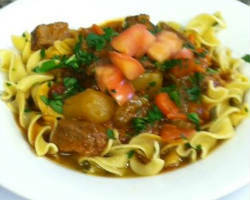 Catering Creations is the home of one of the most innovative chefs in catering in Omaha, NE. This company sets the standard for other local caterers as they create one-of-a-kind menus and dishes. 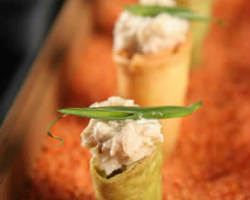 You can either choose from the menu or work with the chef to create something specifically for your event. Wedding catering companies in Omaha are becoming more competitive and more innovative to please the tastes of their customers. This is good news for you as that means they are doing so at affordable prices to compete. Attitude on Food is an award-winning company that has served countless events and weddings flawlessly. Their presentation combined with the quality and flavor of their food is unbeatable. This is not simply a catering company but a team of experts who work together to make your event special. Southern cooking is famous for many reasons, but most notably because it is delicious. Joh’s Catering has brought Southern home cooking to Nebraska to serve any event. The culinary creations of this company are always mouthwatering, sizzling and use the freshest ingredients. This company wants to serve relatively cheap meals that don’t compromise taste and flavor. They have developed pre-determined menus that everyone will love or they have an option to build your own menu. For top quality food and friendly service, this company is the best. 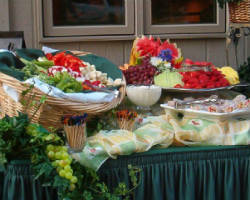 Catering companies with experience is important when you are choosing one for your wedding day. 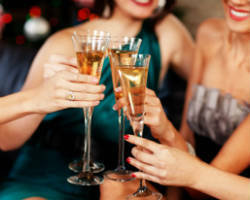 You want to make sure they can handle the size of your event while maintaining restaurant quality. Access 66 Catering does just that, which is why they are busy throughout the year serving every event from corporate lunches to birthday parties. Their exceptional service is the first thing you will notice before tasting their food. They work with you to make you feel comfortable with their services.